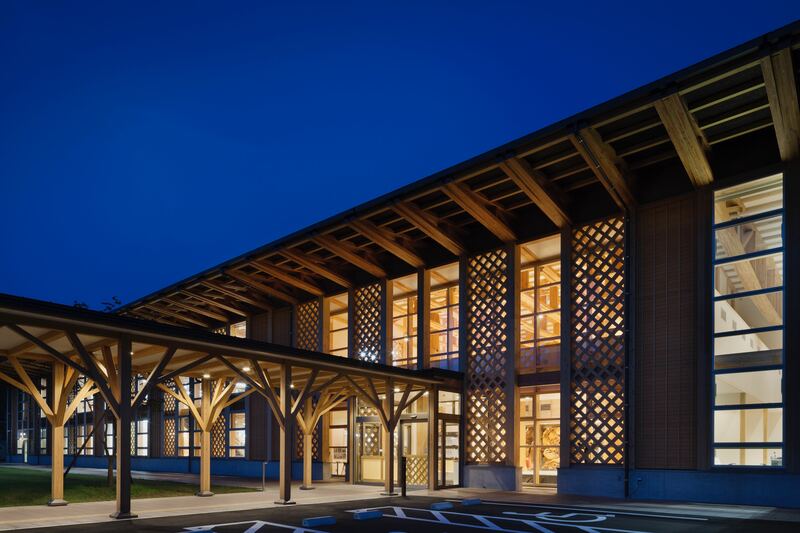 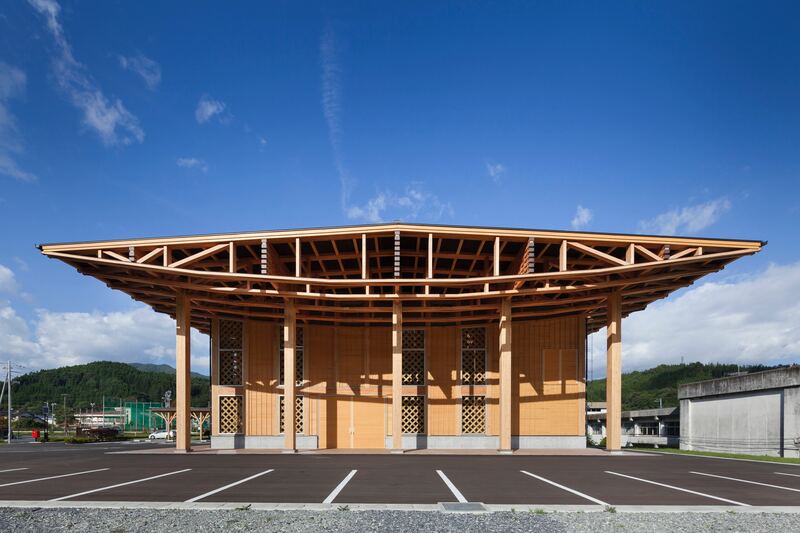 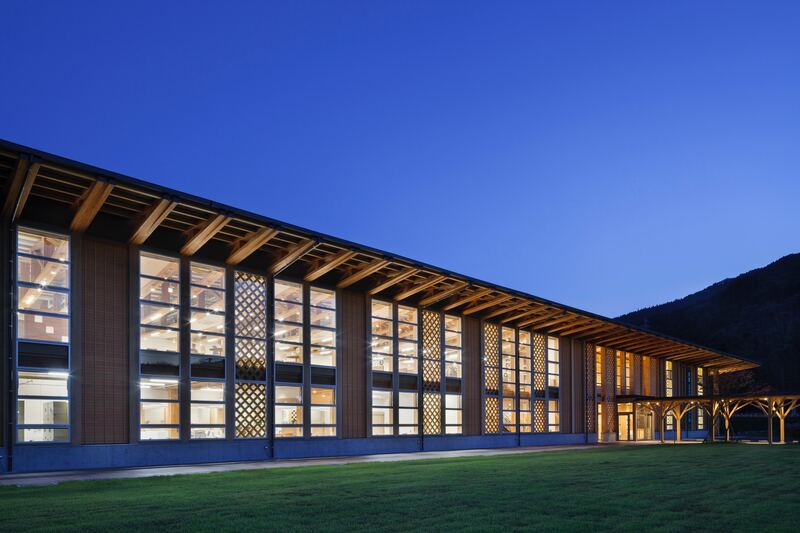 This town hall of Sumita in Iwate Prefecture, a forestry town, was designed to use local timber as much as possible. 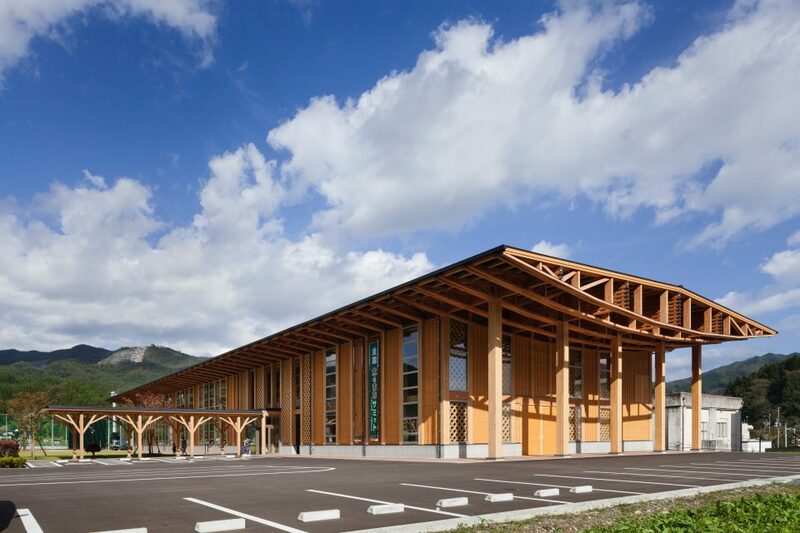 The roof configured with lens-shaped timber trusses provides wide space. 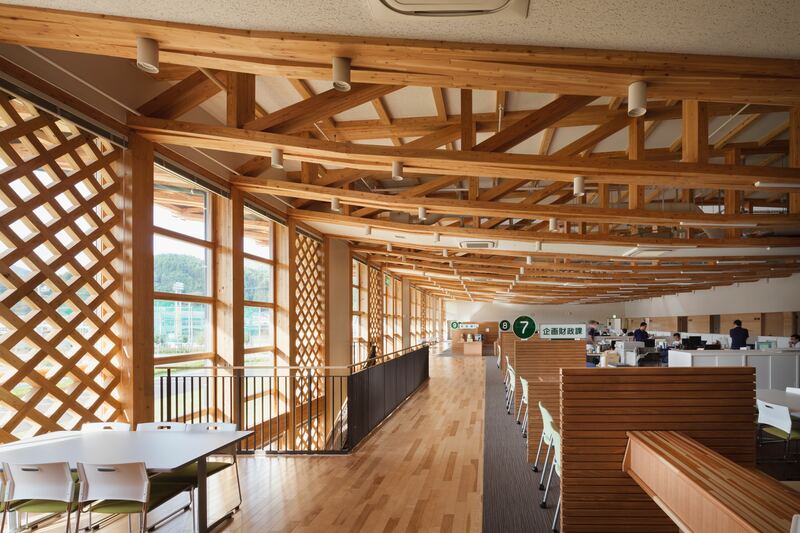 Moreover, lattice bearing walls, Face.Lattice, which were co-developed by STROOG and Professor Inayama from the University of Tokyo, allow light and breeze to flow inside the building. 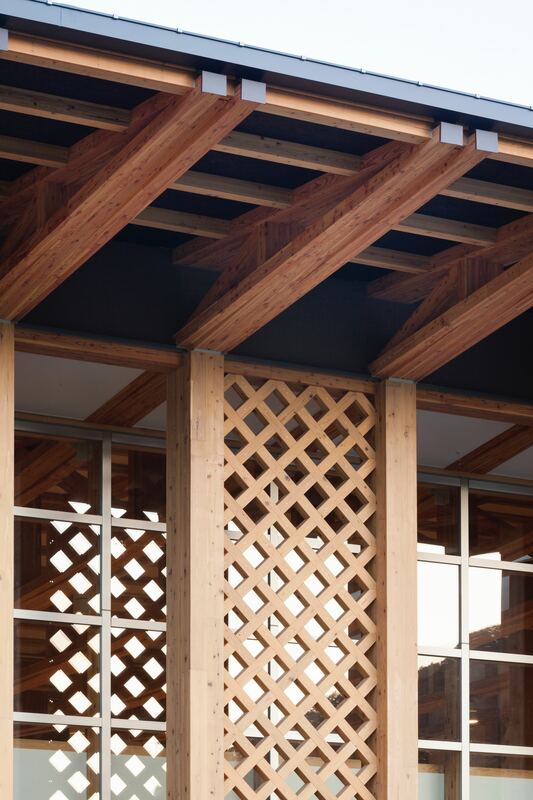 As Face.Lattice uses an abundance of 90×90mm timber material, as much as 710㎥ of locally produced timber was utilized for this town hall. 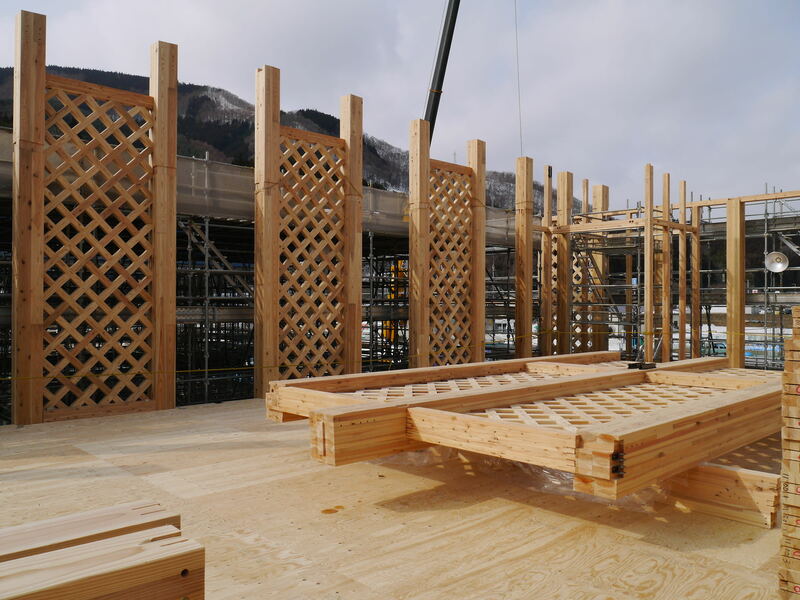 At the same time, ready-made beam end connectors for mid to large-scale structures, Node.HSML, were applied to the beam ends with a large cross-section allowing reduced cost. 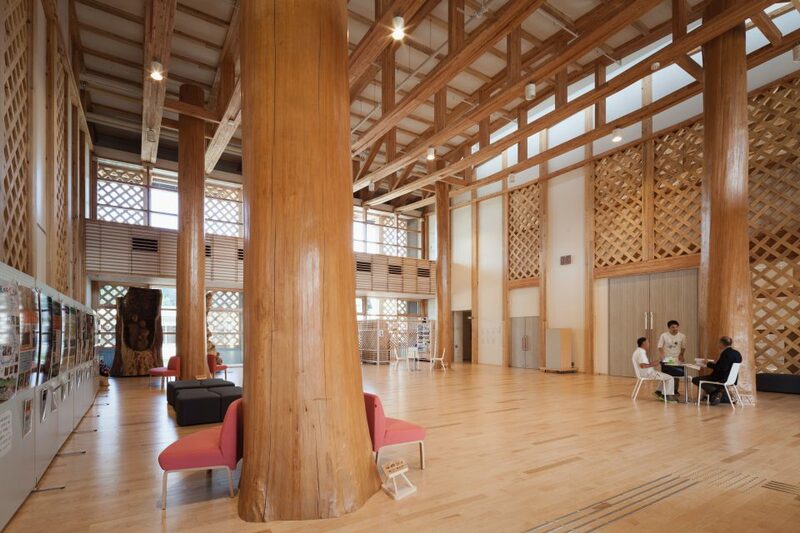 In addition, to exhibit precious wood in the hall, Stroog.LSB were used in columns foot joints.